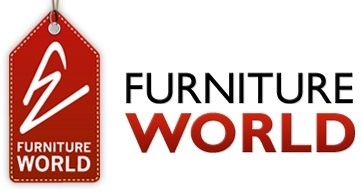 This site is owned and operated by Furniture World of Unit 23 The High Cross Centre, Fountayne Road, London N15 4QN. 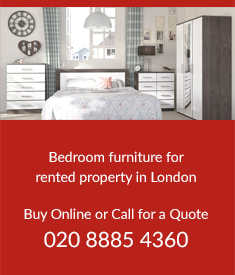 If you want to ask us anything about these terms and conditions or if you have any comments or complaints on or about our website, please e-mail us at Sales@furnitureworlduk.com or telephone us on 020 8885 4360. 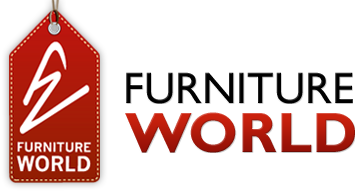 All rights, including copyright, in this website are owned by or licensed to Furniture World. Any use of this website or its contents, including copying or storing it or them in whole or part, other than for your own personal, non-commercial use, is prohibited without our permission. You may not modify, distribute or repost anything on this website for any purpose. We have taken every care in the preparation of the content of this website, in particular to ensure that prices quoted are correct at the time of publishing and that all goods have been fairly described. However, orders will only be accepted if there are no material errors in the description of the goods or their prices as advertised on this website. All prices are displayed exclusive of VAT. If the price of the goods increases between the date we accept your order and the delivery date, we will let you know and ask you to confirm by e-mail that the new price is acceptable. If it is not acceptable, then you will of course have the right to cancel your order. Any weights, dimensions and capacities given about the goods are approximate only. To the extent permitted by applicable law, we disclaim all warranties, express or implied, as to the accuracy of the information contained in any of the materials on this website and we shall not be liable to any person for any loss or damage which may arise from the use of any of the information contained in any of the materials contained on this website. Delivery charges vary according to the type of goods ordered and the delivery location. Please note that we are only able to deliver to addresses within the M25. We will deliver the goods to the address you specify for delivery in your order. It is important that this address is accurate. Please be precise about where you would like the goods left if you are out when we deliver. We cannot accept any liability for any loss or damage to the goods once they have been delivered in accordance with your delivery instructions. We will aim to deliver the goods by the date quoted for delivery but delivery times are not guaranteed. If delivery is delayed due to any cause beyond our reasonable control, the delivery date will be extended by a reasonable period and we will contact you to arrange an alternative time. Under the Distance Selling Regulations you have the legal right to cancel your order within seven days of receipt of your goods (with the exception of any made to order items). You must notify the Company within 7 days of receipt of goods that you wish to cancel your order. To do this, please e-mail us or write to us. If you decide to return items, you will be responsible for carriage cost of returning the items to us. It is advisable to return them using a ‘signed for’ delivery service. You must take reasonable care of any items whilst they are in your possession. If you are a Business or Trade customer then our standard returns policy will apply. If you wish to return items they must be in perfect condition and in their original packaging if possible. You are responsible for the carriage cost of returning the goods. We reserve the right to charge a 25% administrative restocking charge which will be deducted from your refund. We are unable to refund the original delivery charge.